Touring today in Connecticut’s bucolic northwest corner, with its Taconic Range, Berkshire Hills, and pastoral valleys, one would never guess that the region once harbored a major iron industry. In 1728, during a move to open the western lands for settlement, surveyors were sent to the area from Hartford to determine borders and establish townships. While working in the field, surveyors found their compasses behaved erratically because of massive iron deposits underfoot; they also found traces of iron around animal holes and diggings. By 1731, John Pell and Ezekiel Ashley were exploring the areas in the western section of Salisbury, where they discovered at Old Hill (later named Ore Hill) the largest and richest of the deposits that became renowned as Salisbury Iron Ore.
Salisbury iron was used in the manufacture of nails, hinges, cooking utensils, hardware, scythes, axes, shovels and other tools, locks, chains, potash pots, plows, mowing machine teeth, stoves, varmint traps, and many other items. Because of its resistance to shock, it was also used in musket barrels, cannon and cannon balls, ship anchors, railroad car wheels, and locomotive driving wheel tires. Nothing was too large or too small to be made from Salisbury iron. Eli Whitney used it for the thousands of muskets made in Norfolk; Salisbury’s Horatio Ames made the largest Civil War cannon—which weighed in at 19,500 pounds—from it; and Thomas Alva Edison used the local iron for his phonograph needles. 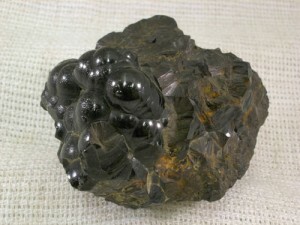 Despite the name given to the iron produced from the deposits, which were characterized by high quality ores of limonite and goethite, they were not confined to Salisbury. The deposits rested in a relatively narrow belt that extend south from Vermont along the Massachusetts, Connecticut, and New York borders south to Kent, Connecticut, for a total distance of some 100 miles. The ore was plentiful in Salisbury, Kent, Canaan (Falls Village), Sharon, and other northwest corner towns as well as over the adjoining state borders. While the 1731 discovery of iron ore suggested the potential for an industry, processing the ore into iron required money and iron-making technology. In 1732 entrepreneur Thomas Lamb arrived from Massachusetts and began purchasing property and water rights for power. He eventually controlled more than 5,000 acres. In September 1734, Lamb was granted water privileges on the Salmon Fell Kill in the Lime Rock section of Salisbury. There he began processing ore at his bloomery, a forge used for smelting ore into wrought iron. Lamb’s efforts thus initiated almost two centuries of northwestern Connecticut iron production. Richard Seymour’s East Canaan bloomery followed Lamb’s Forge in 1739 and was constructed adjacent to the Blackberry River, a tributary of the Housatonic. Joseph Skinner’s forge in Sharon first produced iron in 1740, and in Kent iron was first made in 1744. In Salisbury another forge at the outlet of Twin Lakes opened in 1748, and another by John Gray on Sharon Mountain began operation in 1750. By this time, an “iron rush” materialized in the northwest corner. In the Salisbury Iron District, blast furnaces were large stone stacks, ranging from 24 to 50 feet in height. The exteriors had square bases with sides that tapered inward to square tops. Even in the earliest furnace stacks, a minimum of two ground-level arches were required. A large arch was used to tap the iron and slag from the hearth while one or more arches were needed to access the air supply for the blast. The stacks’ construction required the expertise and supervision of an experienced iron master and a large number of workers. Since labor was cheap and manpower readily available, construction of these furnaces progressed at a steady pace. During construction, builders fabricated a stone hearth leaving an opening for tuyeres, the nozzles that carried air from the blast pipes. They lined the interior of the hearth with refractory firebrick to form a crucible for the collection of molten iron. As the structure was extended higher, the space between the stack and the interior shaft was filled with sand to absorb thermal expansion and to serve as an insulator to maintain interior temperatures. The top the rock-covered stack had a center opening (a tunnel head) about 3 feet or more in diameter for loading the raw materials. A covered timber bridge led from the charging wall to the top of the stack, and most of the furnace complex was enclosed in buildings that included a top house for the charging process. The casting shed, with a sand floor, extended from the area adjacent to the casting arch where molten iron flowed into sand molds. The complex incorporated a waterwheel to pump the two large bellows that in turn forced the air through blast pipes and into the hearth. Blast furnaces built after 1815 incorporated more efficient cylindrical blowing tubes rather than bellows. When construction of the furnace and associated structures was completed, the furnace was ready to be fired. Following a period of heating, the furnace was ready to be in full blast. At regular intervals workers dumped the “charge,” a mixture of iron ore, charcoal, and lime, into the stack top as air blown in at the base of the furnace raised combustion temperatures high enough (over 2,800° F) to reduce the iron ore to iron. The charcoal, nearly pure carbon, served as fuel for the fire and also as a reducing agent that removed the oxides from the ore. The lime from local Stockbridge marble acted as a collector of ash and ore residues, forming a slag that could be separated from the smelted iron and discarded. As the iron became molten it flowed down into the collecting crucible. Much lighter than the iron, molten slag formed from waste products floated on the iron. Workers drained off this by-product at intervals through an opening above the tapping hole used for the iron. After flowing out to one section of the sand bed, the silicate compound cooled rapidly as workers sprayed it with water, broke it into small pieces of colored glass, and hauled it to nearby slag piles. Once in “blast,” furnaces ran 24 hours a day week after week. About every six hours the molten iron was tapped and the white-hot liquid flowed from the crucible tap hole into a trough in the sand bed called a sow and then into a series of perpendicular ingots called pigs. When the pigs had cooled enough to maintain their form they were broken in half and stacked. Next, they were loaded into wagons, weighed, and taken to a foundry where they could be re-melted for casting or refined to wrought iron. The introduction of blast furnaces did not eliminate the use of forges. While the use of bloomery forges for making wrought iron gradually declined, finery forges were developed to further process pig iron. The preparation of the essential ingredients, namely charcoal and iron ore, and the addition of lime, would eventually develop into sub-industries whose growth paralleled that of iron making. 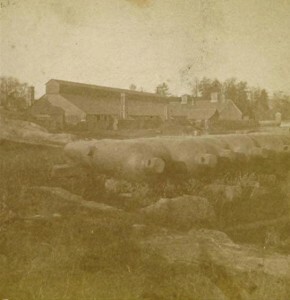 Over time there were 43 furnaces in blast in the Salisbury Iron District with 21 in northwestern Connecticut. During peak production from the mid-19th into the 20th century, the Barnum and Richardson Company, which owned or managed 12 furnaces and numerous mines, was the major iron producer. The Barnum and Richardson Company’s primary products were railroad car wheels made in the Lime Rock Foundry, two foundries in Chicago, one in Rochester, New York, and one in Huntington, West Virginia. As a major producer of car wheels, the company established markets throughout the United States and for French, German, British, and South American railroads. William H. Barnum, long-term president of the company, was also a representative to Congress and later a United States senator. 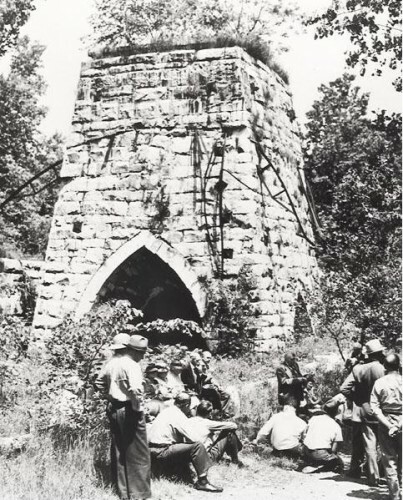 In 1923, following World War I, the last Connecticut blast furnace, East Canaan No. 3, was taken out of operation. With a large inventory of pig iron remaining, the Lime Rock Foundry continued manufacturing until 1925. After 191 years of iron production, Salisbury Iron District iron production ended where it had begun—in the Lime Rock village of Salisbury. 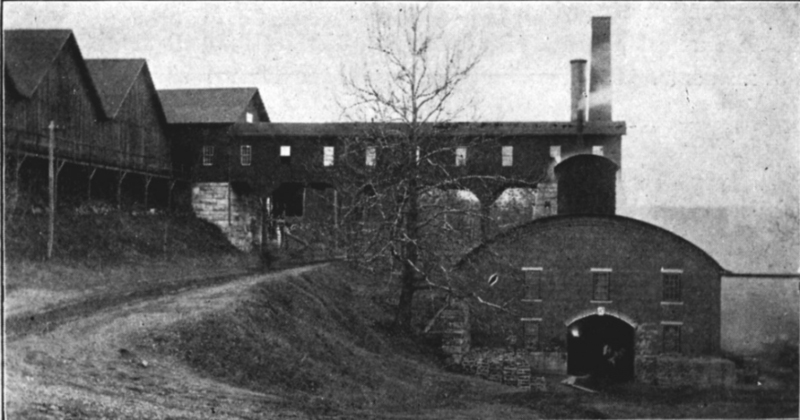 In 1946 the state purchased the Beckley Furnace in East Canaan, and later the Connecticut General Assembly designated it as the state’s only industrial monument. In 1978 the Beckley site was included in the National Register of Historic Places. Today, The Friends of Beckley Furnace maintain the restored furnace stack and it stands as the centerpiece of The Iron Heritage Trail in the National Park Service-designated Upper Housatonic National Heritage Area, Inc.
Ed Kirby, an educator, author, lecturer, and consultant in geologic, iron industry, and Western history, is currently president of the Friends of Beckley Furnace and a member of the Board of Trustees of the Sharon Historical Society in Connecticut and the Lenox Historical Society in Massachusetts. “Friends of Beckley Furnace,” 2011. Link. Kirby, Edward M. Visions of Iron the Story of the Salisbury Iron District. DVD. Sharon, CT: Sharon Historical Society, 2008. “Beckley Furnace Industrial Monument.” Department of Energy & Environmental Protection, 2017. Link. Gordon, Robert. 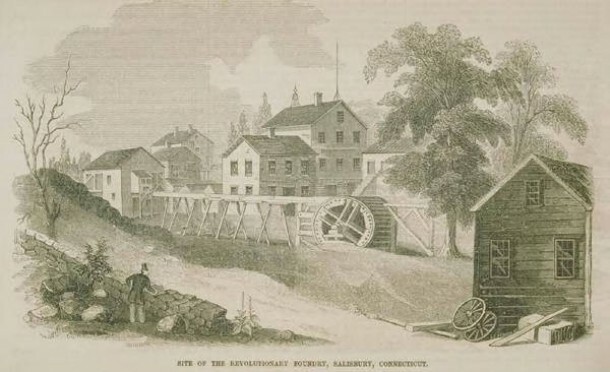 A Landscape Transformed: The Ironmaking District of Salisbury, Connecticut. New York, NY: Oxford University Press, 2001. Kirby, Ed. Echoes of Iron in Connecticut’s Northwest Corner: With a Field Guide to the Iron Heritage Trail. Sharon, CT: Sharon Historical Society, 1998. “Lime Rock Historic District, Salisbury.” Living Places, 2010. Link.